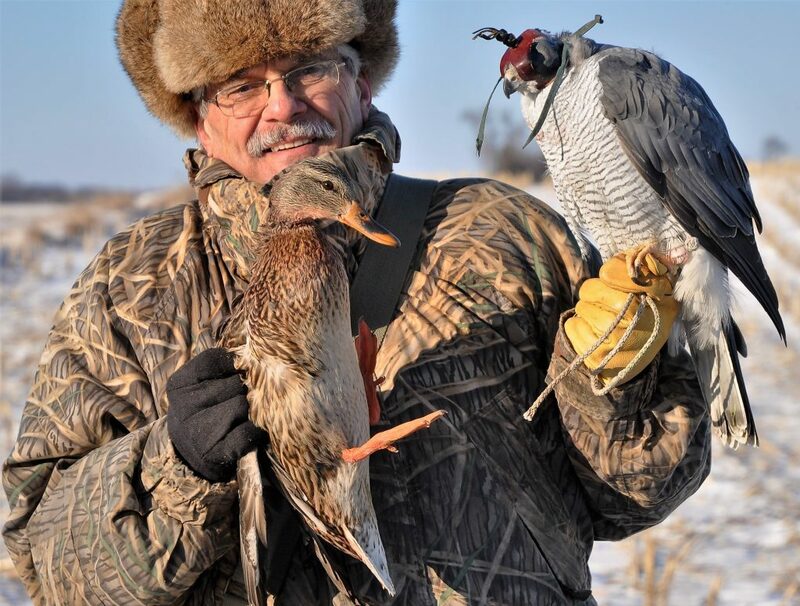 Waterfowl hunting has been one of my lifelong passions. From balmy September teal hunts, to the final days of ice laden decoys and freezing marshes; each and every outing becomes a unique and cherished outdoor memory. 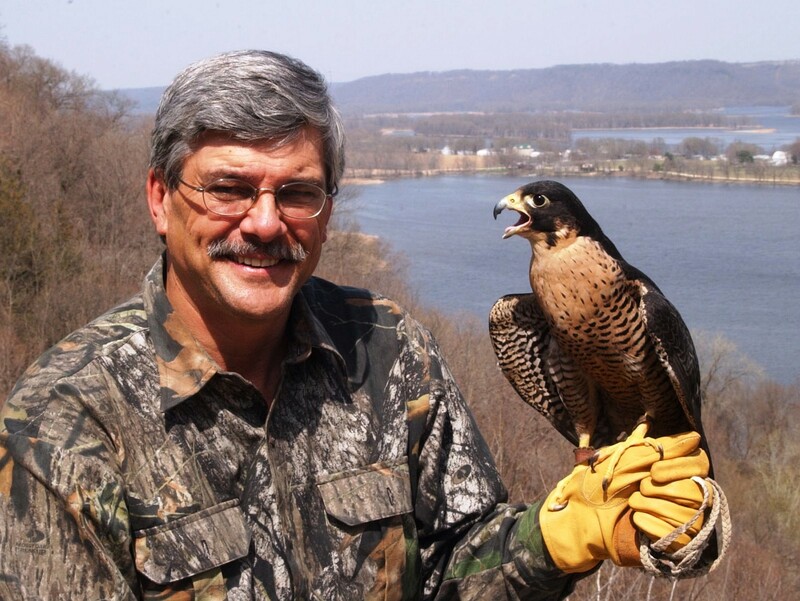 And although I love all phases of the annual migration, Iowa’s late falconry season provides some of my most exciting hunts. Generally speaking, the colder the weather the better the hawking. 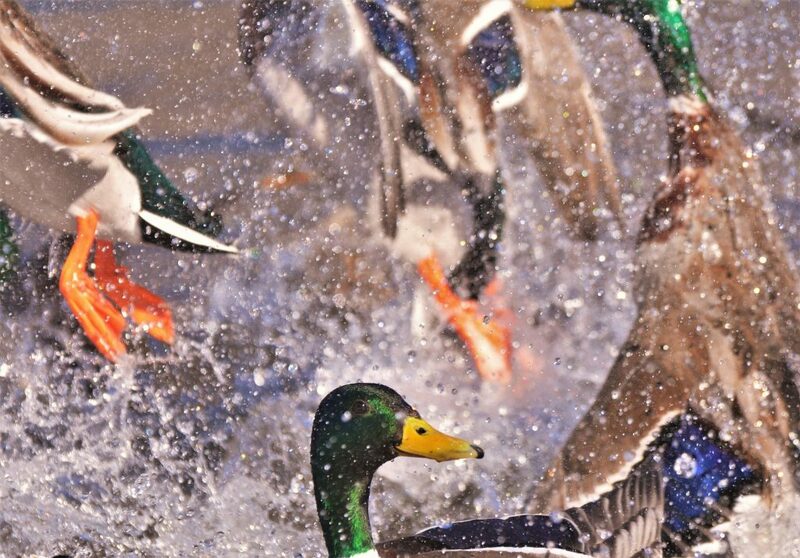 Most folks probably don’t think of subzero temperatures as being great duck hunting weather, but it is. 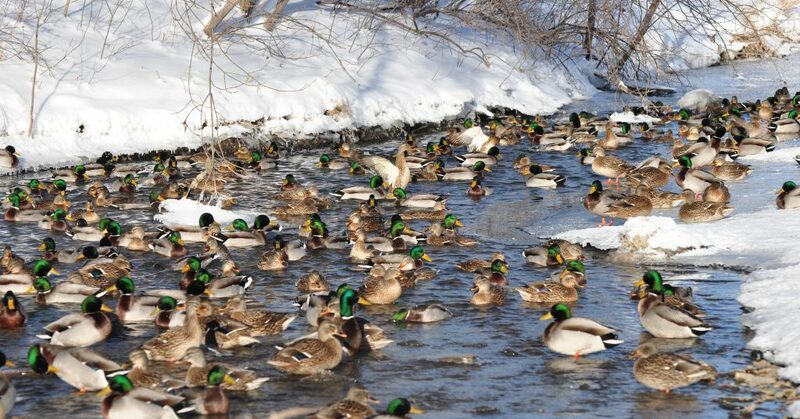 Ever shrinking areas of open water translates into more ducks jammed into fewer places. Today, I had found one of those places – a genuine red hot, loaded to the gills, Mallard Honey Hole. It was late afternoon and I was hunkered 60 yards or so from the banks of Cerro Gordo County’s Beaver Dam Creek. A hooded goshawk perched quietly on my gloved fist, patiently waiting for our hunt to begin. The excitement was building. During the last few minutes, I had watched in awe as flock after flock of fat, corn fed greenheads poured from the winter sky; scaling down to join the ranks of fowl already rafted along a significant chunk of ice-free, flowing water. The ducks had arrived in groups of anywhere from a dozen to twenty or thirty birds. Some bunches were larger. 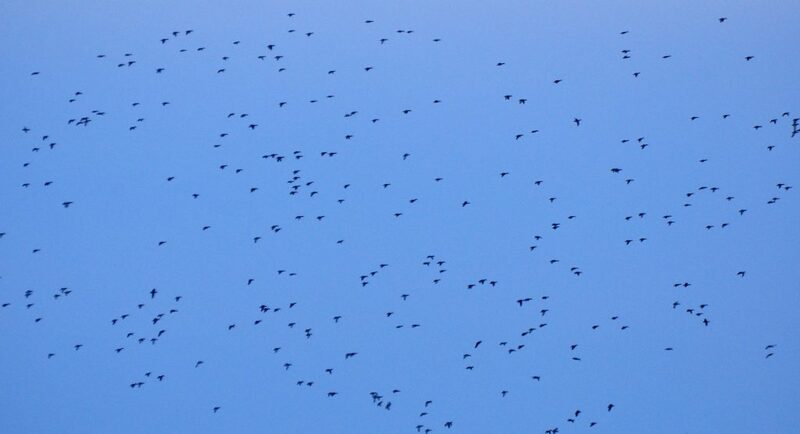 The latest flock had easily contained upwards of 150 ducks. I couldn’t actually see the water from my hiding spot, and by now I had no real idea as to how many web-foots were on the creek. I just knew that it was a lot. Making no attempt to keep their presence a secret, the hens were setting up a constant chatter that was easily heard above the bone numbing January wind. There was no further reason to delay our hunt. Removing the hawk’s hood, I cautiously began inching toward the creek. Seeing nothing to chase, the unhooded bird retained his calm demeaner. But initial impressions can be misleading. We’ve been hunting together for eleven seasons, and I was well aware of the Jekyll & Hyde deception. Although the ‘gos appeared harmless now, I knew that all he needed was something to trip his switch. By the time we’d crept half way to the creek, the raptor’s facade began to melt away. Getting his head into the game, the bird no longer appeared detached and disinterested. By contrast, the he had suddenly become the picture of focused intensity. The dynamic, predatory nature of the northern goshawk had emerged. Eager to hunt, the hawk anxiously leaned forward on the glove, his eyes flashing with anticipation. The cover finally ran out when we were still 15 or 20 yards from the creek. The moment of truth had arrived. Getting on my feet, I charged toward the stream. The creek quickly came into view and, although I had fully expected to see a large number of ducks, I was totally unprepared for the scene that greeted my arrival. Looking up and down the length of the stream — all I could see were big and beautiful ducks — nothing but mallards, mallards, and more mallards. A waterfowl hunter’s dream; the sight was the gold miner equivalent of striking the Mother Lode. My sudden appearance did not go unnoticed, of course. As quickly as I was spotted, the feathery hordes took to the air with a deafening roar of flailing wings, panicked alarm calls, and splashing water. Pandemonium reigned as the scene deteriorated into pure mallard mayhem. For the goshawk, the heavens had become a target rich environment and the raptor’s response was instantaneous. Blasting from the fist, the hawk overtook the fleeing mallards in an instant. Not hesitating to get in and among ‘em, the raptor was quickly absorbed into the retreating flock. Completely lost to view, the hawk had become just one more dot in an ocean of dots. The flight reached its conclusion as two spinning but connected forms fell from the belly of the flock. Rotating to earth like a four-winged frisbee, the birds came to rest on the snow-covered grassland. Crossing the creek, I quickly made my way to where the ‘gos stood atop a fat and colorful mallard drake. Our next hunt occurred under similar circumstances. This time, our focus was on a flock of 200 or so mallards sitting along a foot-deep stretch of fast water. Although the flock represented a mere fraction of the numbers encountered earlier, there were certainly enough ducks to provide an exciting hunt and the potential for an additional duck dinner. Our approach was undetected, and the startled ducks took to the air as soon as I made the charge. Launching from the fist, the ‘gos quickly achieved radar lock on the bird he had chosen. Displaying the speed and acceleration for which goshawks are famous, the raptor quickly intercepted and seized the duck. From start to finish — glove to duck — the entire flight had lasted no more than 5 or 6 seconds. Goshawks are an amazing bird! Most of the ducks my goshawk captures are drakes; maybe he’s attracted to the male’s brighter colors. On this occasion, however, he had selected a hen. Like most duck hunters, I prefer not to bag hen mallards, which brings us to another reason why I so love the late season. When I rejoined the ‘gos, he was quietly standing with one foot wrapped around the hen’s neck, the other around her head. The hawk made little protest when I traded a pigeon breast for the hen. Except for some ruffled feathers, the duck was otherwise unharmed. A perfect candidate for Catch & Release; the mallard would fly again. At least in this aspect, the ancient sport of falconry is clearly superior to modern tools of the hunt.